Have you ever been somewhere and come across an aroma that takes you back to a certain time in your life? It happens with me constantly. For example, several years ago I was riding shotgun with our daughter who was learning how to drive. We were out in the country on a rural highway when I rolled my window down a few inches and stuck my head up to that opening and started inhaling, maybe a little too deep for my daughters taste as she asked in an irritated tone “what are you doing? 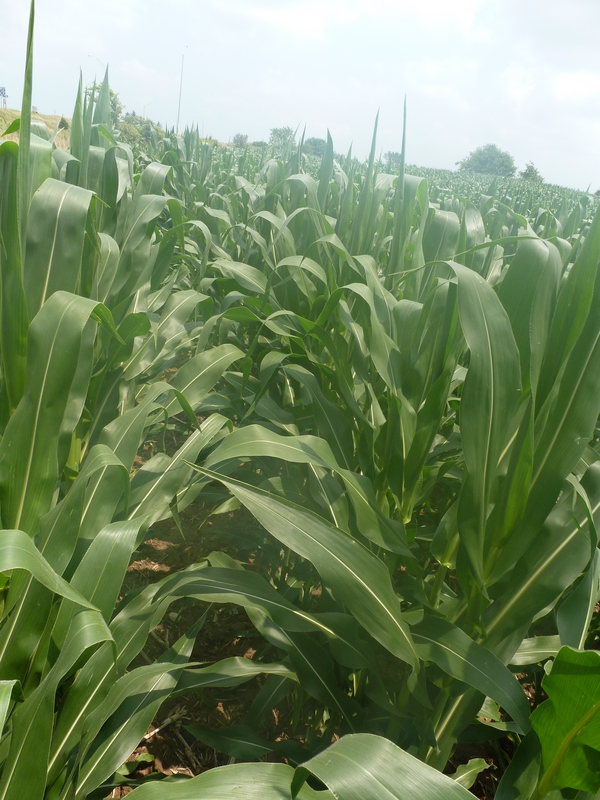 !” I replied “smelling the corn, it’s pollenating.” Silence. Sometimes my kids know when to not follow up with another question our they’ll be regaled with exploits of my youth….like you’re about to be….right….now. My mother had a garden as she and Dad raised us “young’uns”. I didn’t care for the garden, it represented hot sweaty work. Picking peas (then shelling them as we sat in lawn chairs under a big maple), it represented picking beans, then having to choke them down later that year after Mom had frozen them for later use. Oh the punishment I endured as a child! Mostly the garden was a great place to lose a baseball as it ran along the entire right field foul line. It was the “Bermuda Triangle” of baseballs, softballs and whiffle balls. Many a ball were lost as they disappeared into the thick growth of peas, beans, potatoes, sweet corn and the dreaded “pumpkin patch.” The pine trees along the left field foul line were more “ball friendly” and the ditch in the outfield had your odds at probably a 50/50 chance of finding your ball that same day unless Dad had the boar back there then your odds were reduced to 20/80. Many a good game of baseball was interrupted by that cursed garden…but back to the aromas. Presently every time I’m around tomato plants I’m reminded of Mom’s garden. It’s a bit of a flashback…that humid vegetative scent that lingers around gardens in July. 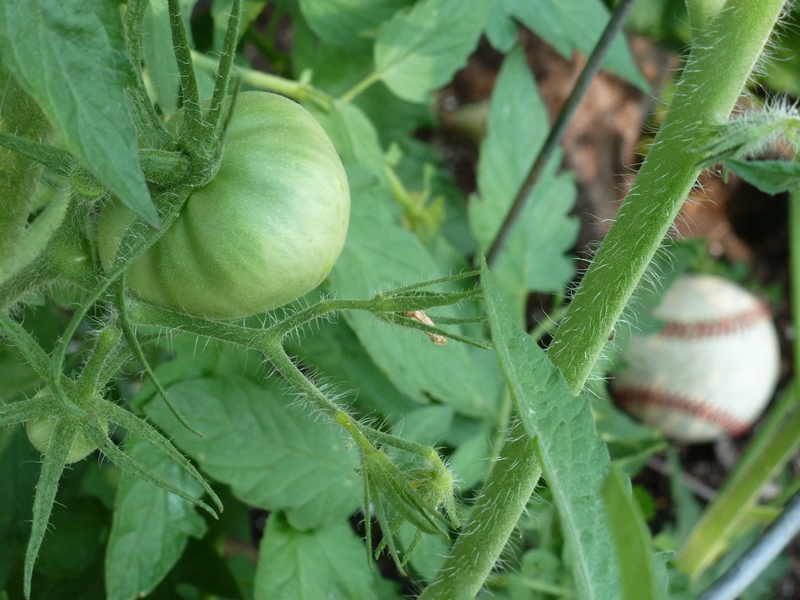 I smell it every night when I water my tomato plants….even though I don’t like tomatoes nor does anyone else in our home. My neighbors probably think that I’ve lost it…as I lean in and inhale. Tomato. ToeMato. That smell takes me back. My first tomato of the summer. The third scent comes from my second paying job, detasseling corn. Long story short, seed corn companies need seed for next year’s crop, so they grow seed corn in great quantities in the area where I grew up. To have seed corn be seed corn they need to hire folks who will walk those seed corn fields and pull each and every tassel from certain rows of corn. That’s easy enough; pull the tassel from hundreds of thousands of stalks of corn. That’s what my cousin Matt and I did for three summers in the early nineteen eighties (Matt only did two summers before he enlisted in the Navy. He got off easy) I pulled tassel, after tassel, after tassel and so forth. Unlike baling hay with its pleasant scent, corn just smells like corn. “But Rich, corn has no smell!” you exclaim. It does when it’s pollenating and you spend three weeks of your summer walking mile upon mile, up and down row after countless row of ….pollenating corn. Its thick leaves give you paper cuts on any exposed surface of skin, it’s hot and humid, spiders love corn fields and in the days preceding portable music…you are left alone with yourself and your thoughts. Mind-numbingly tedious, and that smell. It’s a smell that, as my lead-in paragraph illustrates, gives me reason to pause. It makes my stomach hurt, even turn a little…it really takes me back to my teenage years of growing up on a farm. It’s a fond memory. If Yankee Candle had a “pollenating corn” scented candle…I’d buy three. Attention ladies and gentlemen!! This will be your view for the next three weeks! Pull every tassel, enjoy the 95 degree temperature and eat as many spider webs as you like. And lastly…a chemical aroma. Chlorine. When I smell Chlorine today I’m just a kid at heart, waiting in line to get into the pool. I didn’t get to go to swimming pools much growing up, so when I did, it was a much anticipated event. Man…that old Chlorine really burned this country boys eyes as me and my buddies would do crazy tricks under water. “Watch this!!! I’m gonna do a hand stand! !” or do the “Nestea Plunge” time after time after time. Lying in bed that night my eyes would still be tingling from our friend Chlorine, and the next morning we’d still have a little “red-eye thing” going. When I smell Chlorine these days it reminds me of taking our daughters to the pool when they were just little squirts, applying a ritually aerosol induced fog of sunscreen. I just love those two smells together. Sunscreen and Chlorine. Again…if someone made a candle with those two scents, I’d be all over it. I know that its summer time when I’ve come across all four scents in the same short period of time. What aromas take you back? Thanks MJ. 🙂 I started coming up with so many “scents” that I narrowed it down. I thought about “rain”, the unmistakable aroma of a barn (even years removed from livestock), my grandpa’s old pick up truck (gas, oil and something else) and my grandma’s whenever I hugged them. You ought to videotape that rain dance, RR – ha! I once saw a candle that smelled like popcorn. It made me hungry!